Dive into your deepest yoga pose yet with these stylish black leggings featuring black mesh cut-outs revealing your mermaid scales beneath in an array of ocean blue colors! This exclusive style includes a hidden waist pocket for storing small items. The perfect fusion of mermaid and human style, these specially designed black leggings show just enough scale to stay classic, yet trendy with any activewear top you’d wear to the gym or around your house! 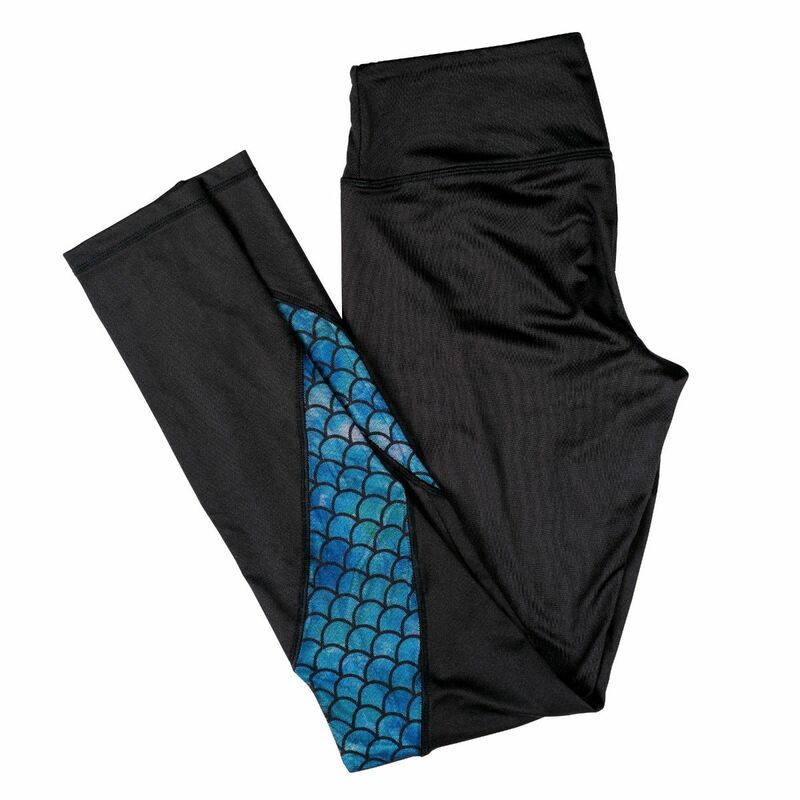 A sea of ocean blue scales peek out from beneath trendy mesh panels strategically placed at the leggings’ sides for extra appeal. Soft and stretchy material promotes superior comfort so you can focus on moving through your next workout or simply lounging with your favorite book.